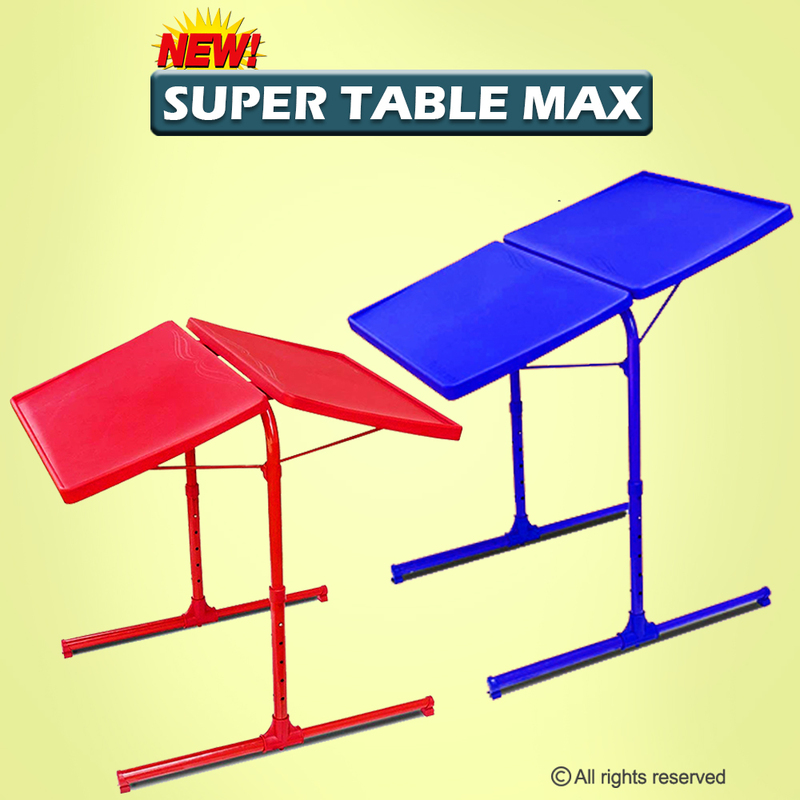 Super Table MAX is a multipurpose double top table, can be used as single top or double top, strong and sturdy Indian design manufactured in India. 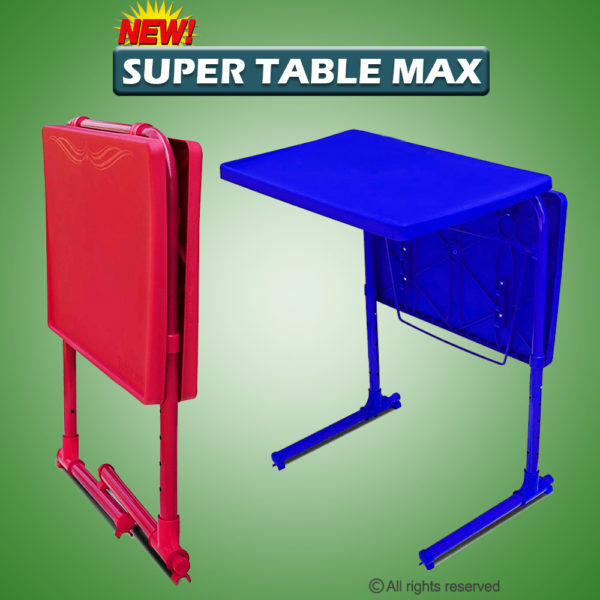 Every home must have this Double-top Super Table Max – You can work on your laptop While your wife is cutting Vegetables, Use it as a Children Study purpose and Play table for 2 Kids all at the same time. It can be used as a Dining table for two people or can be even used as a Single table for Elders. Also it can be used as a reading table and Many more ways. This is a multipurpose table that can be adjusted in 6 different Heights and 6 different Angles. 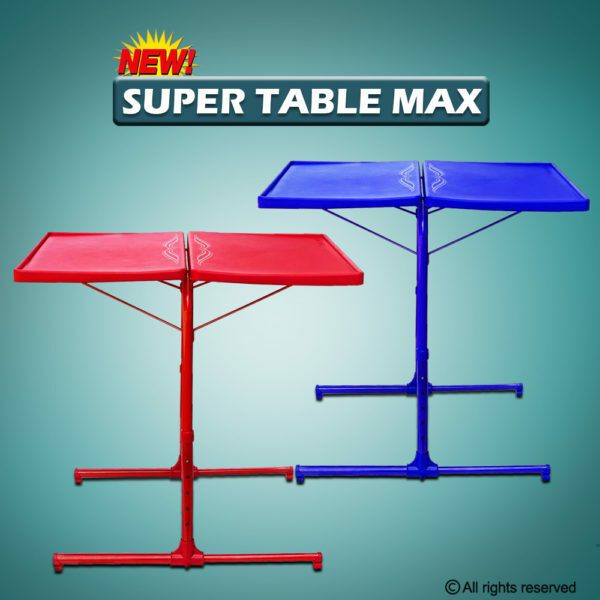 Unbreakable and light weight made up of durable Fiber and Mild steel with powder coated Legs. It can be fold and easily stores under a sofa or cot after use. 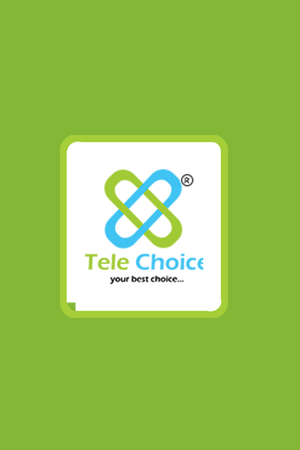 Height: Maximum = 2.42 ft (0.74 m) and Minimum = 1.77 ft (0.54m). Have 6 Adjustable Heights with 0.04m Gap. Size of the Tray: 15″ x 20″ (1.25ft x 1.66ft).